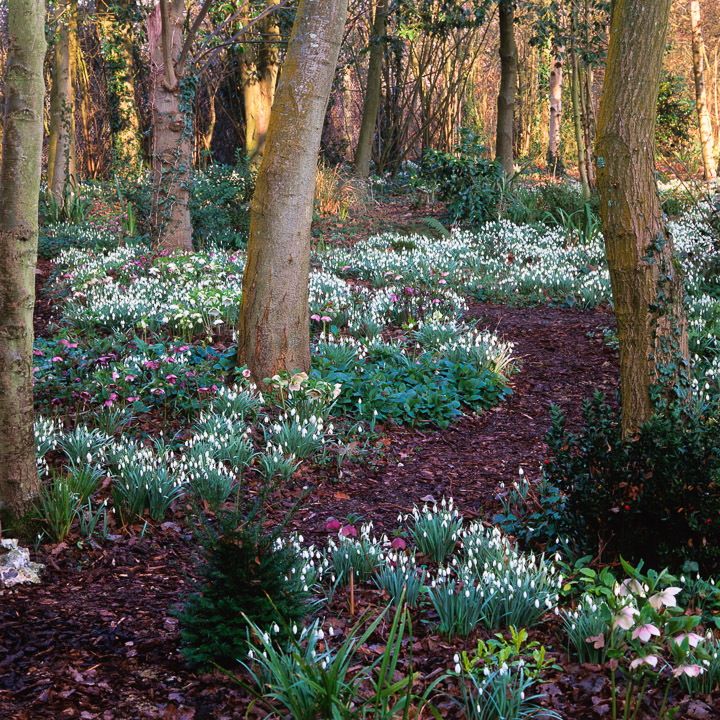 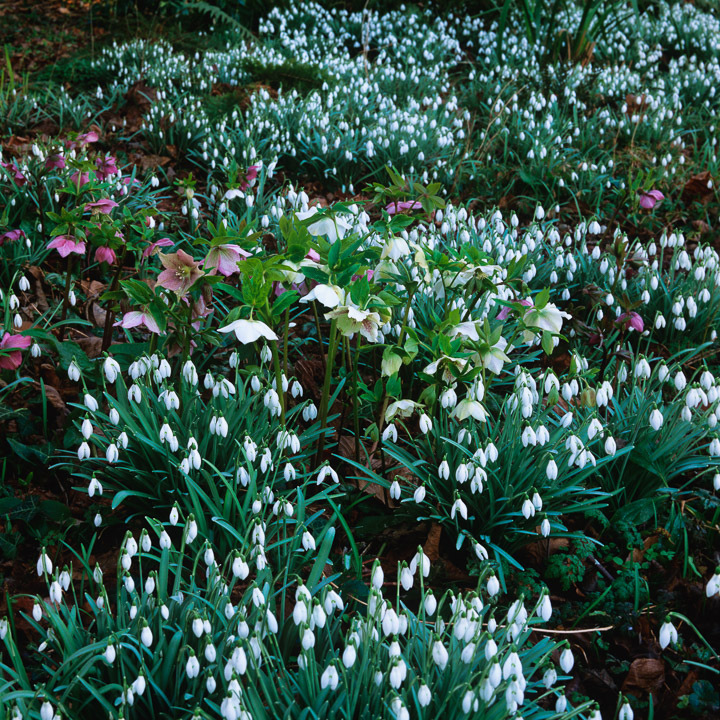 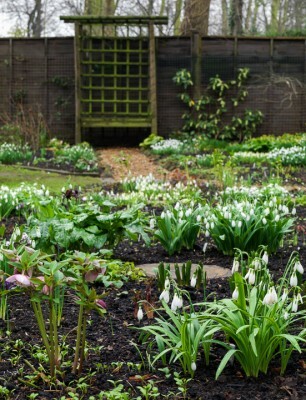 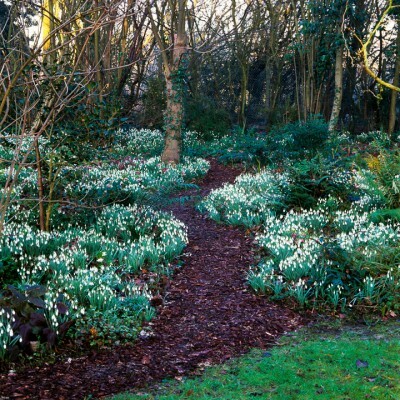 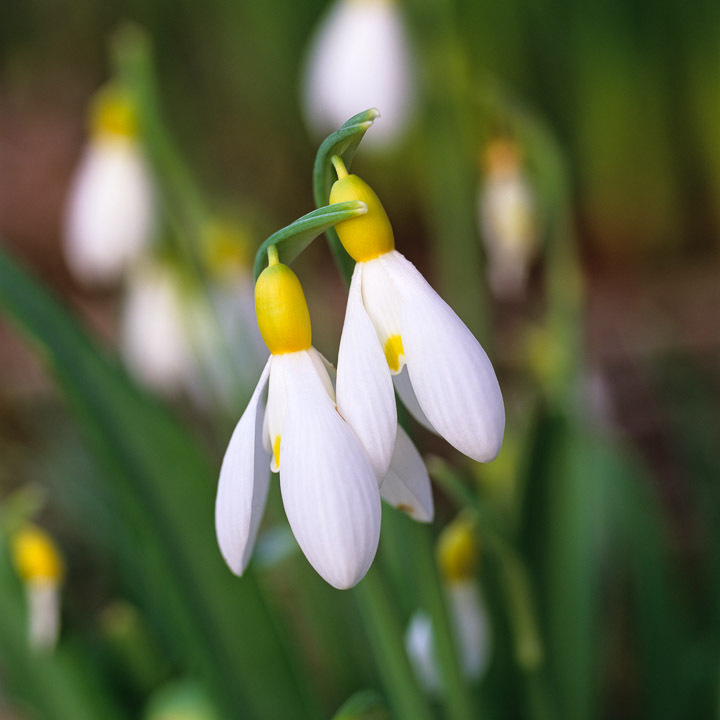 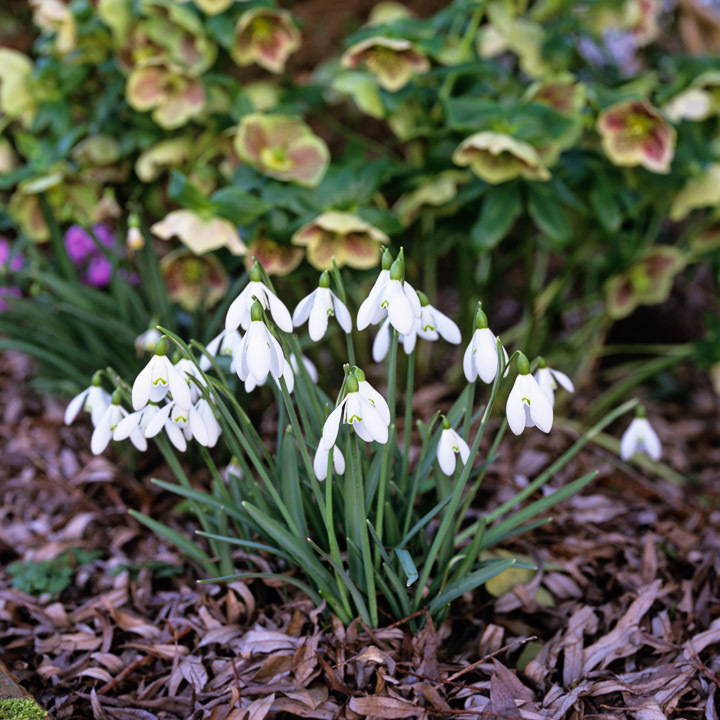 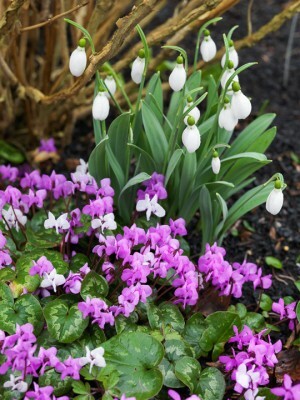 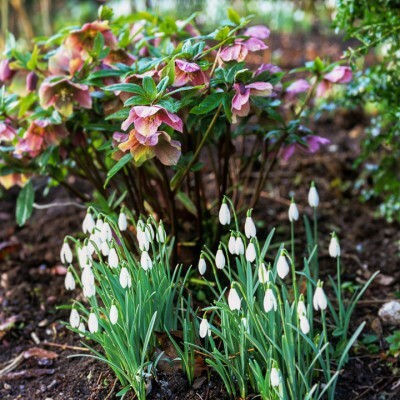 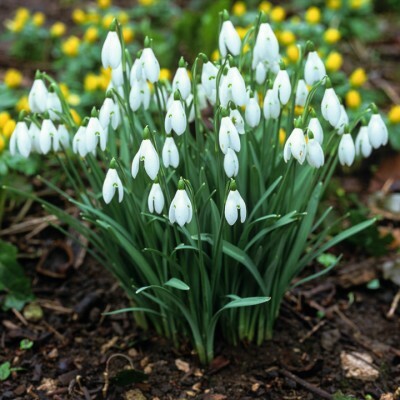 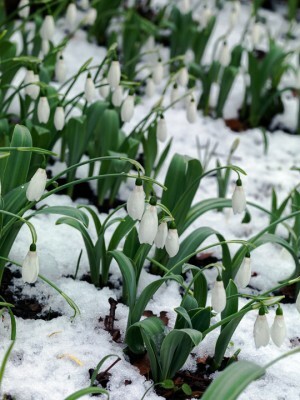 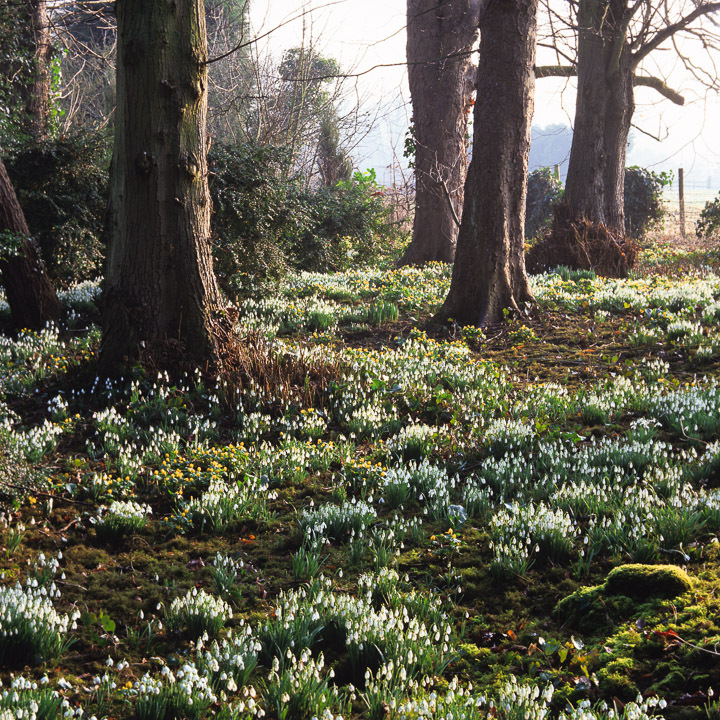 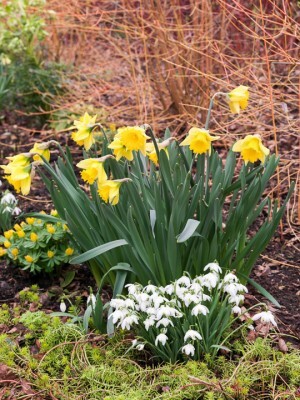 There’s a hint of wizardry about a snowdrop called ‘Merlin’ that defies frost and snow to raise its graceful head. 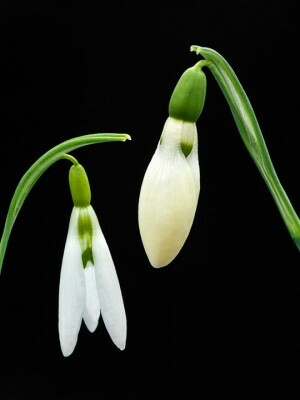 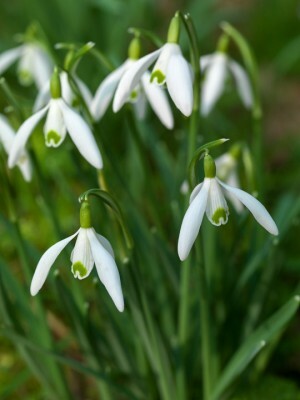 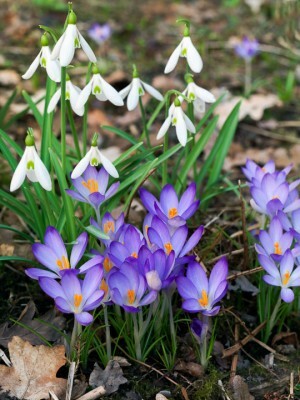 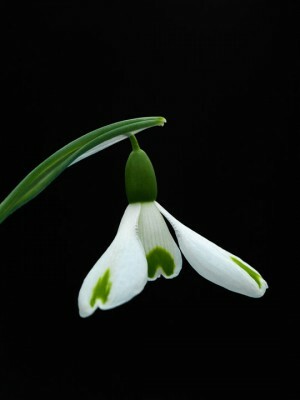 Few flowers are more magical nor cause such controversy as the snowdrop and, to the untrained eye, it is hard to see why. 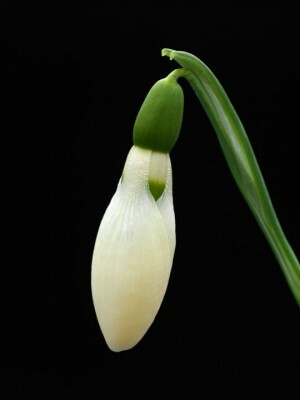 With head demurely lowered and clad largely in virginal white, what is there about this innocent flower to provoke? 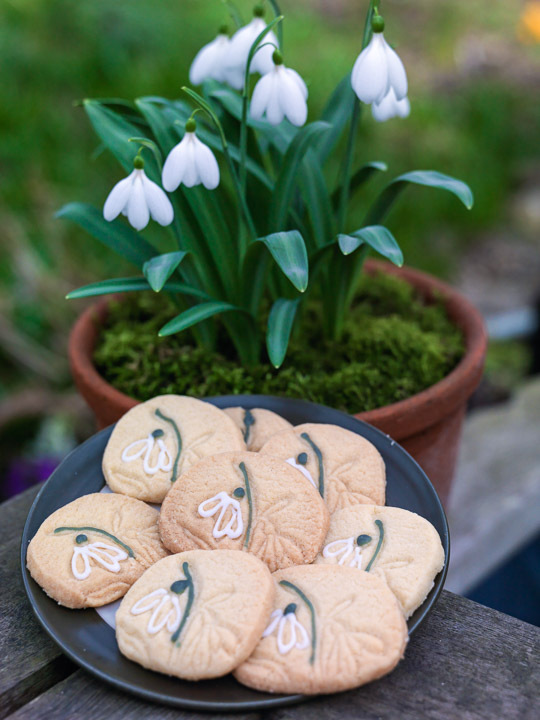 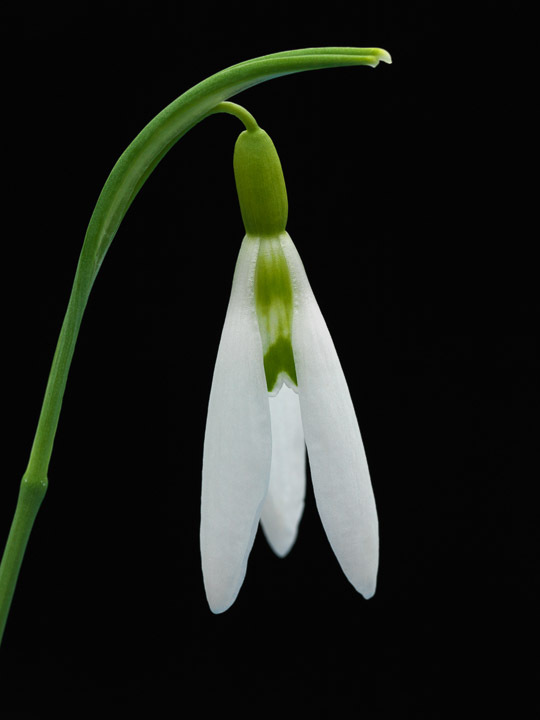 The answer lies in closer scrutiny which reveals subtle markings in gold or green on the outer skirt and petticoats, tiny but distinct variations that cause much debate amongst the lovers of snowdrops. 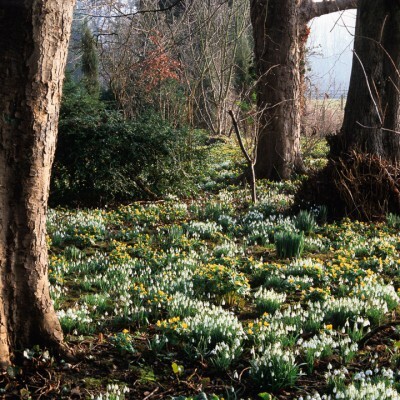 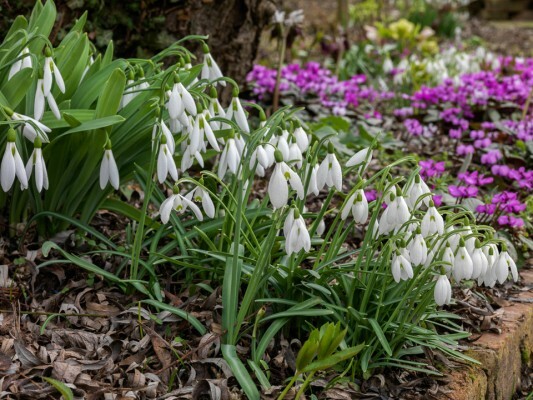 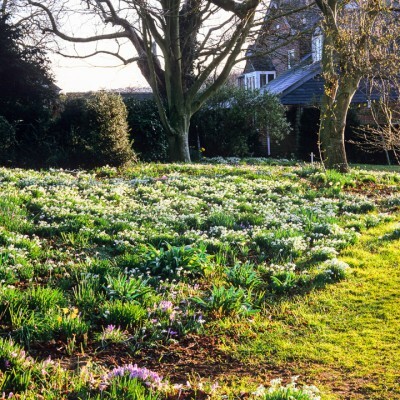 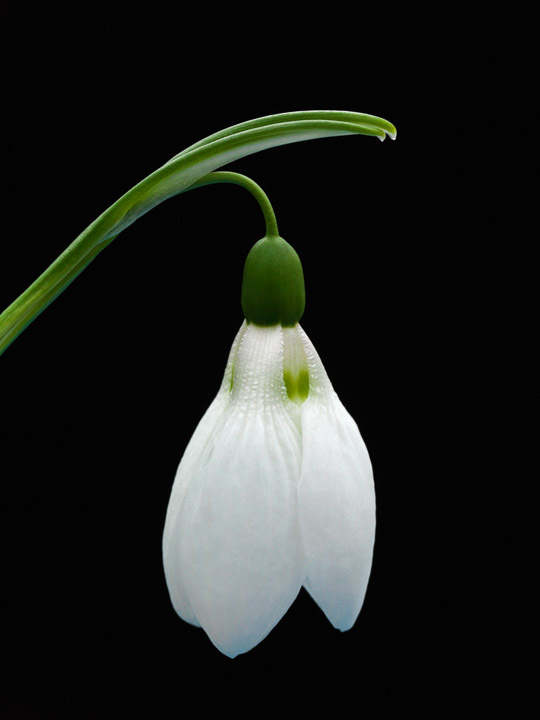 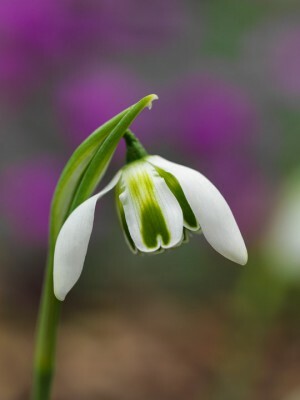 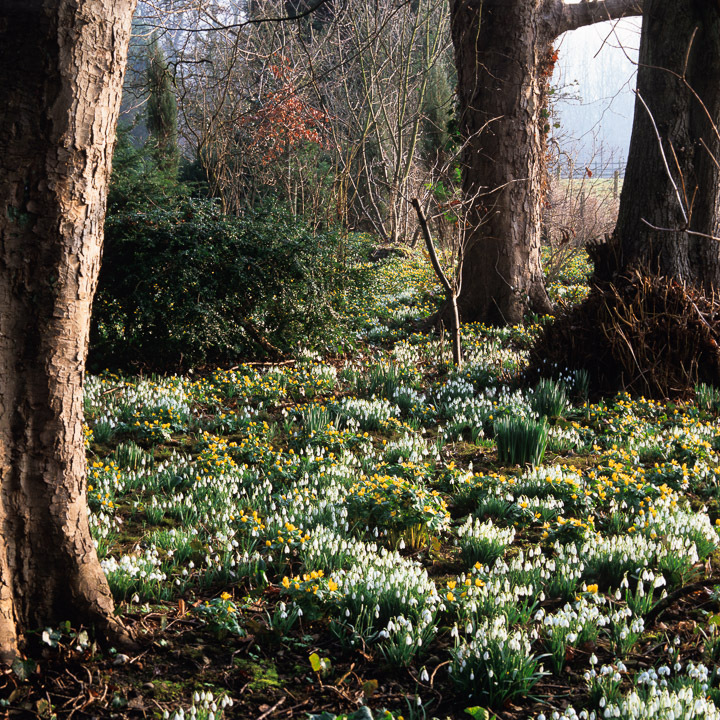 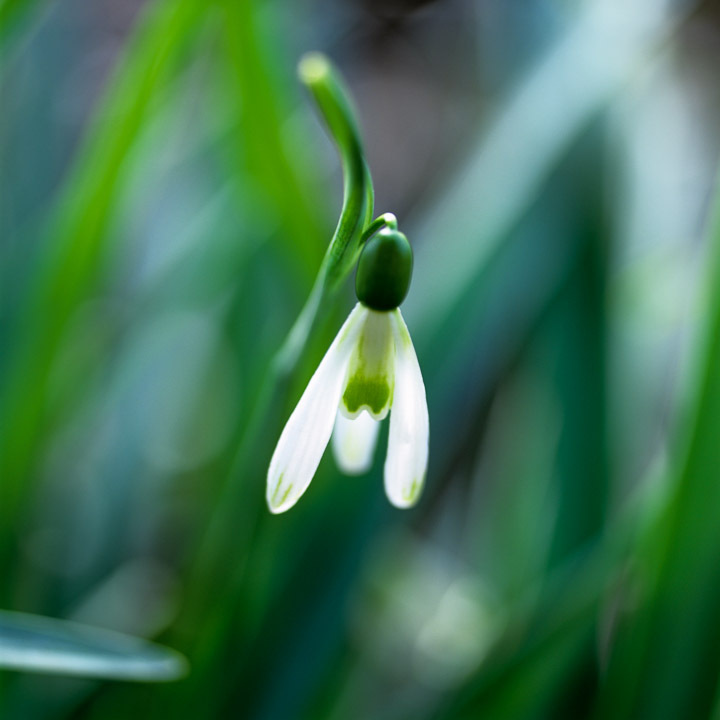 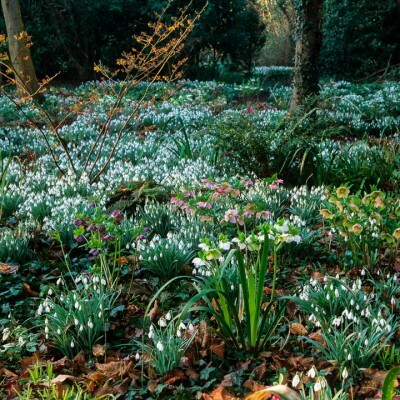 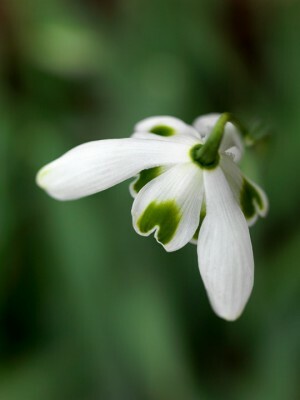 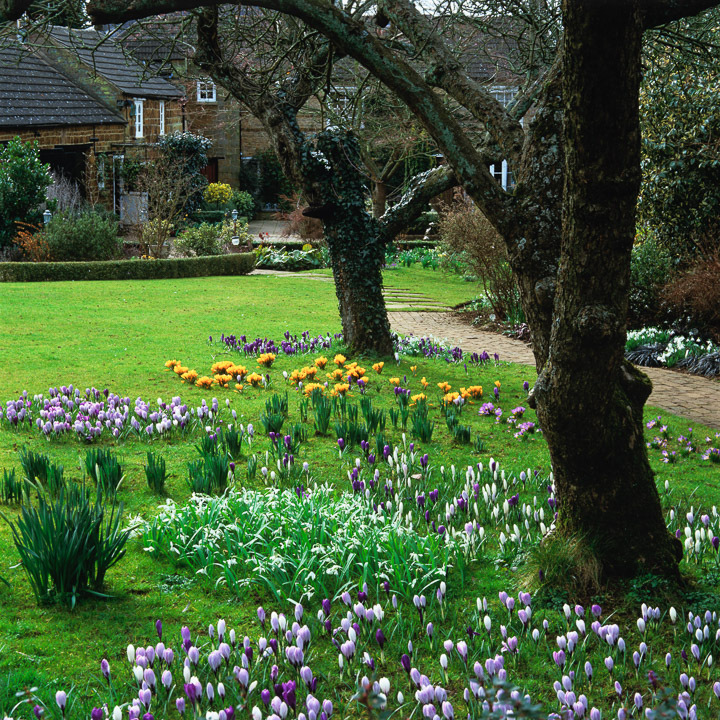 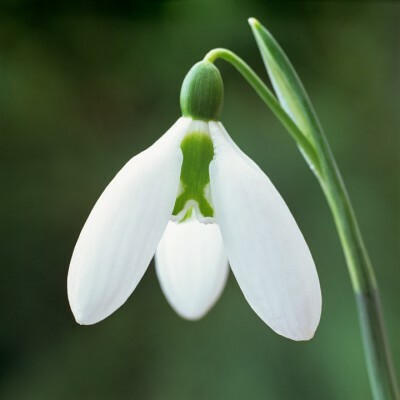 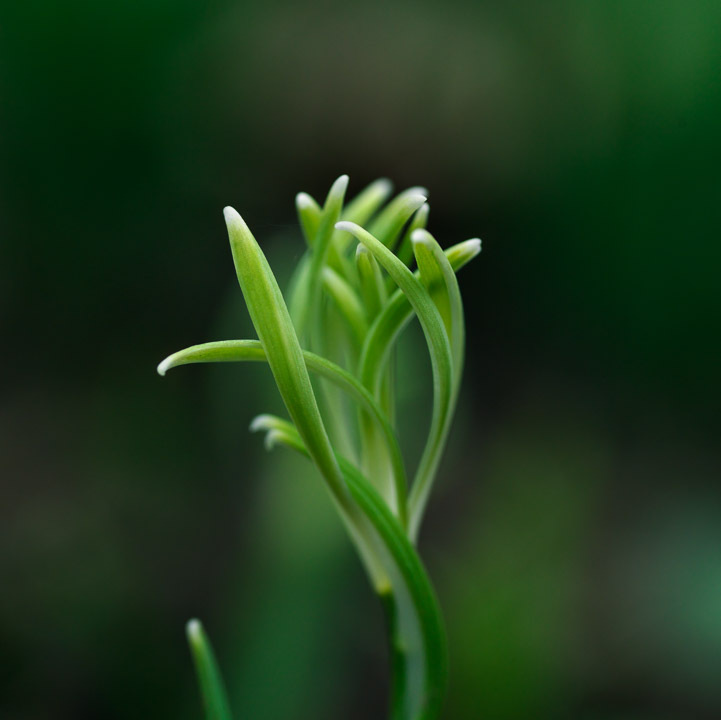 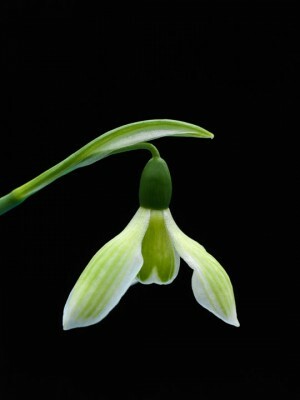 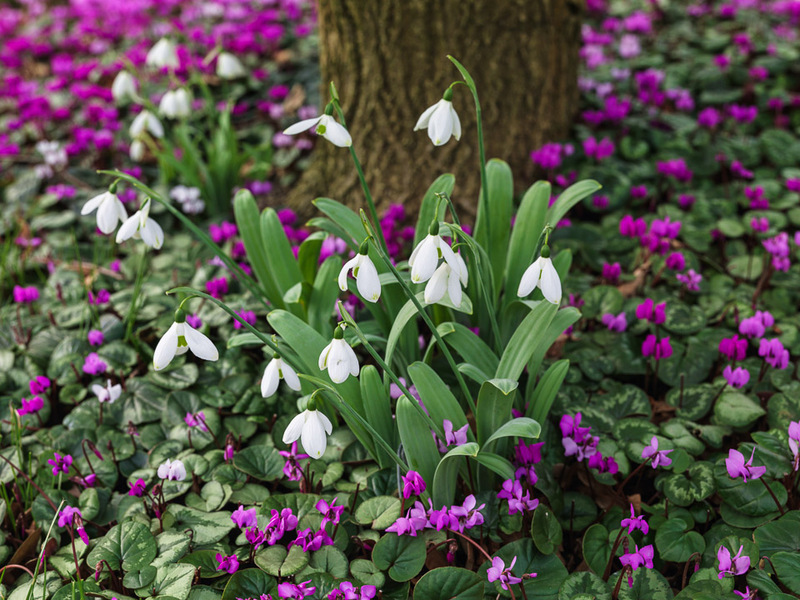 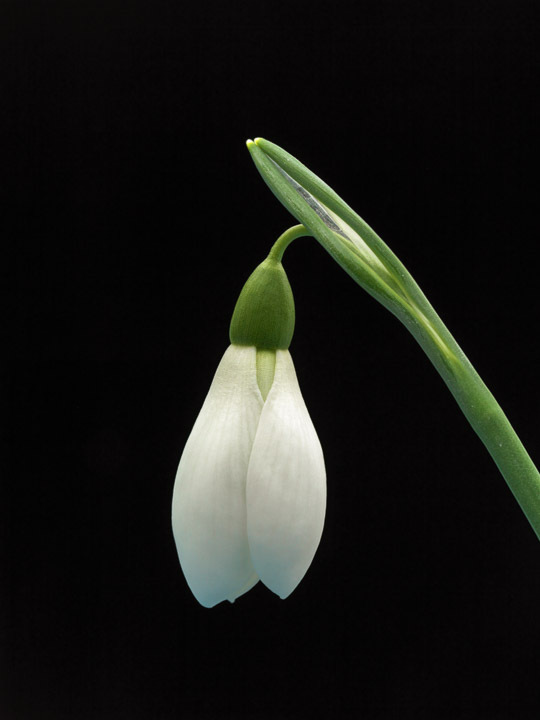 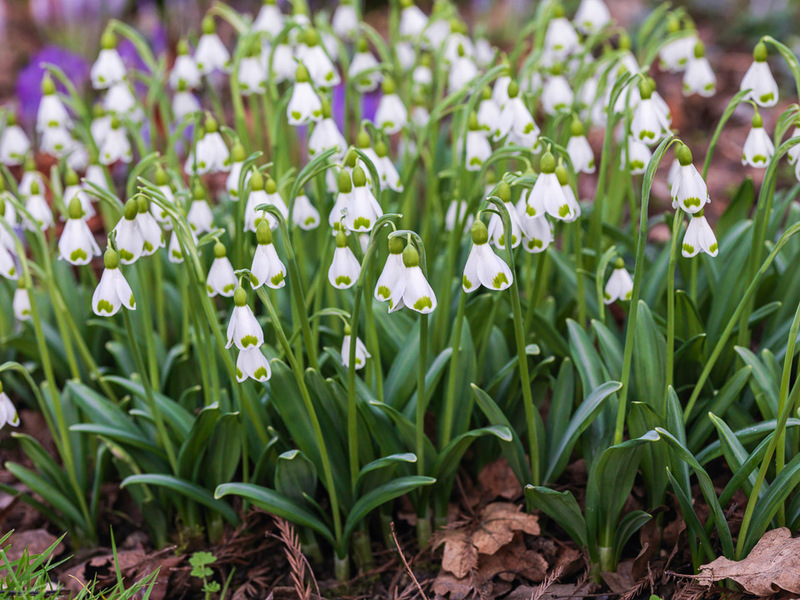 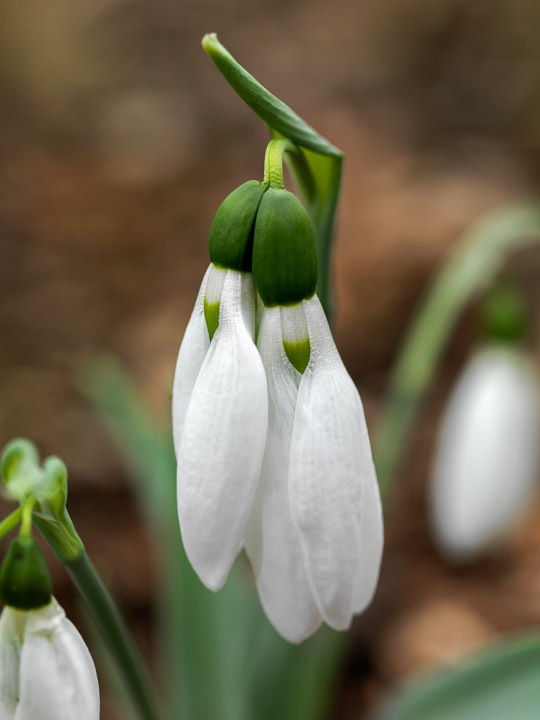 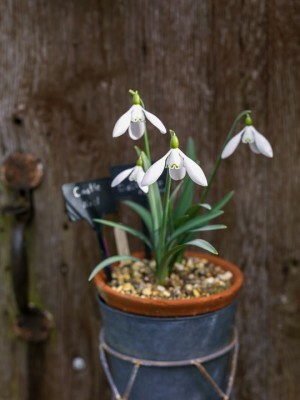 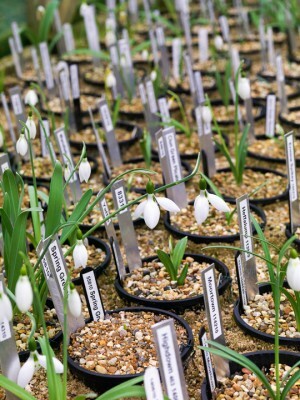 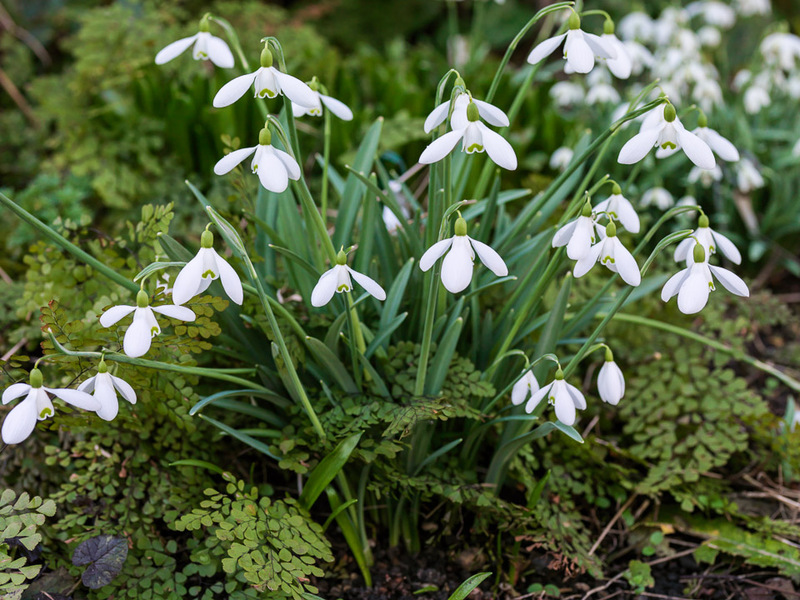 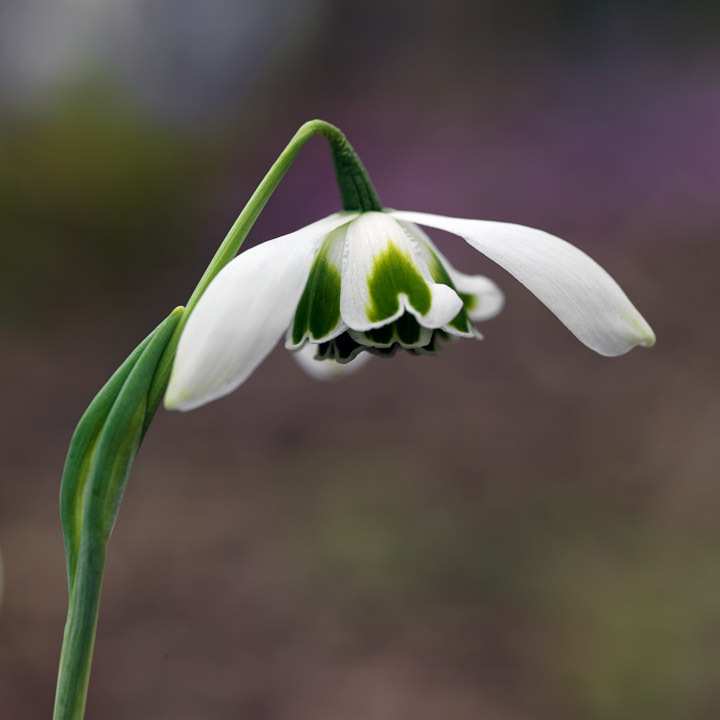 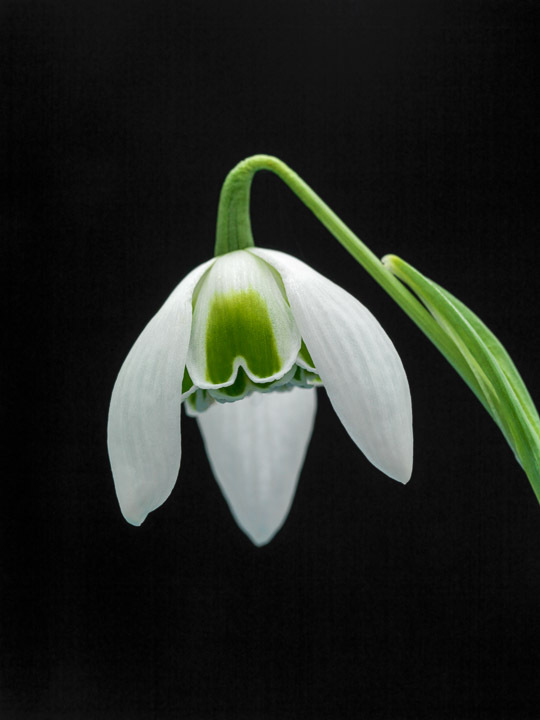 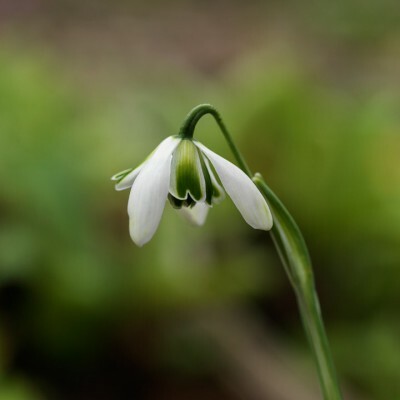 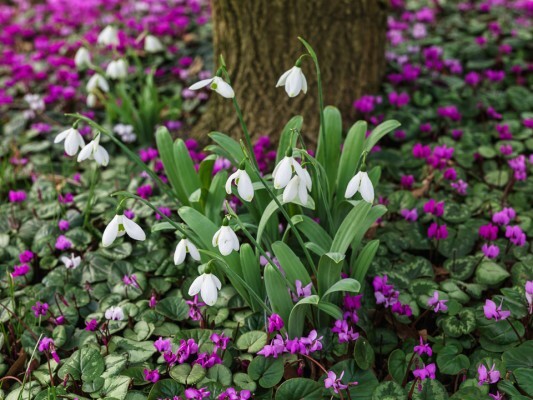 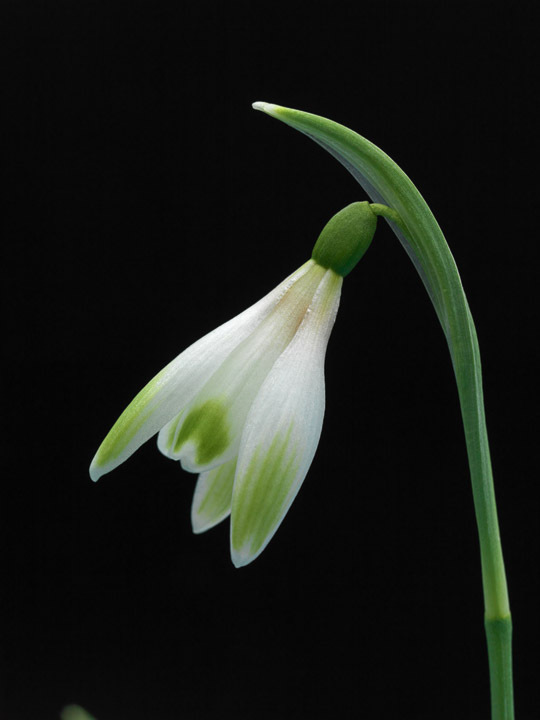 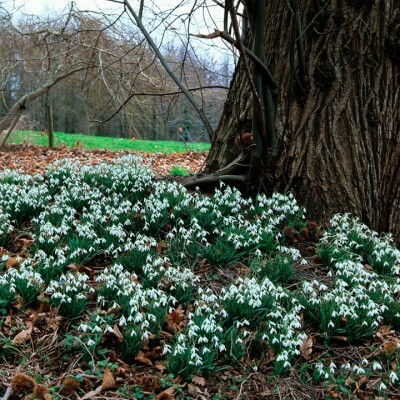 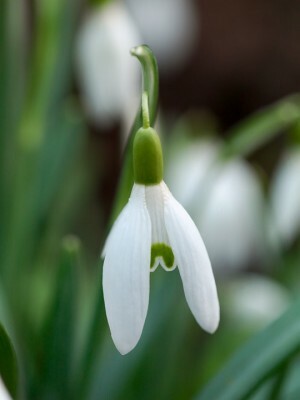 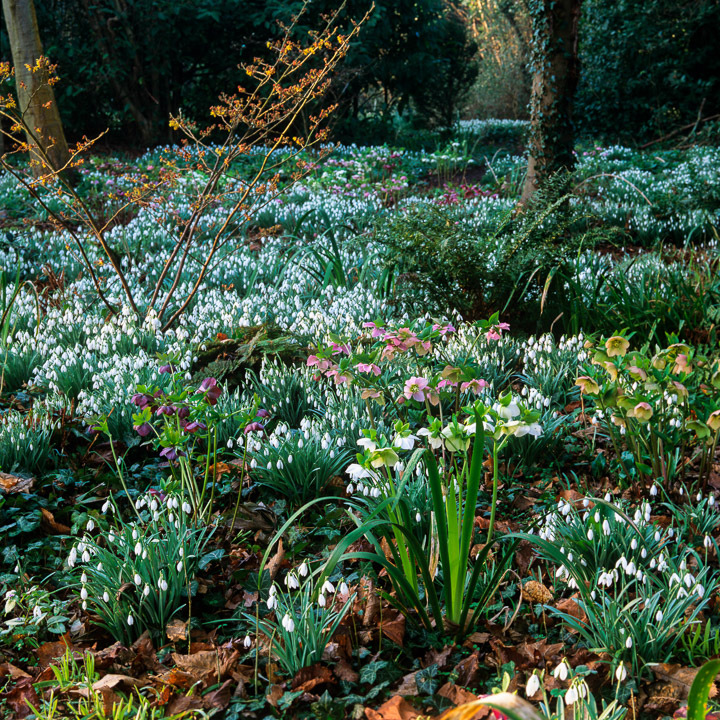 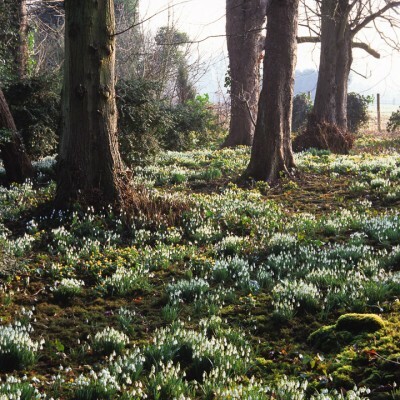 Hundreds of different snowdrop cultivars have now been identified: read on to discover more about their idiosyncrasies.